Not every problem on your microwave is an electrical one. Sometimes the individual physical components go faulty or start to crack. Other times, bits of the outside casing, the handle, or the door itself start to wiggle free of the hinges and clasps holding it in place. If you’re a bit uncomfortable modifying and repairing the electrical components of your microwave and major appliances, there’s still plenty to learn and plenty of opportunities to fix mechanical parts of your microwave to make them look nicer and run more smoothly. If your microwave door swings lower or out of alignment with the microwave itself when you open it, investigate the hinges for obstructions or broken pieces. One of the most common breakdowns that result in a sagging microwave door is when the welding around the hinges breaks. 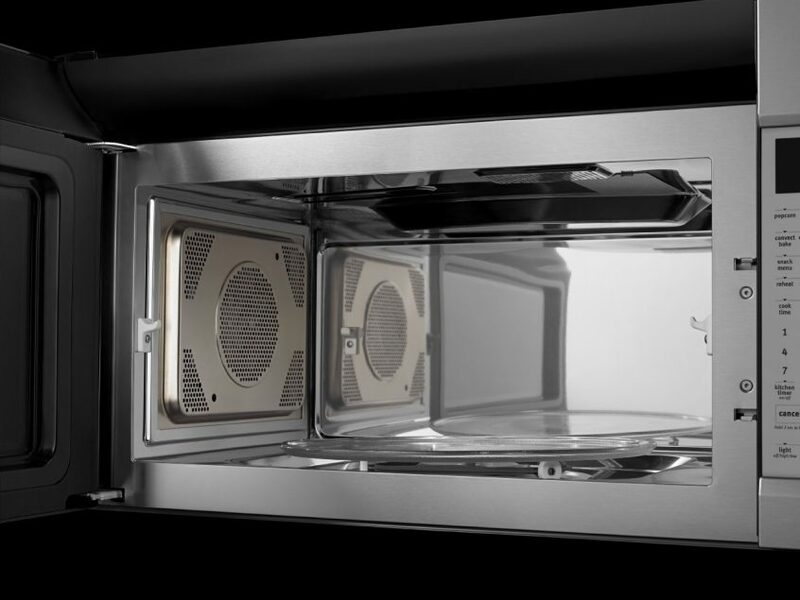 Electrolux microwaves have two door hinges: one in the top corner and the other in the bottom. If the welding on the just one hinge breaks, you might not notice it immediately. However, the additional stress on the other hinge, especially if the top hinge’s welding breaks first, means that the second hinge’s welding will soon follow. First, use a flat screwdriver or the blunt edge fo a knife to remove the plastic casing surrounding the hinge. Do this to both hinges to release the door entirely, then lift it up off the latches and remove the door. This gives you plenty of access to the hinges. When you touch each hinge, you’ll notice that they wiggle freely within the gap and the weld comes right up when you pull it. The easiest way to tighten the hinge is to use a pop rivet gun, and insert a rivet in the hole above the hinge. This will hold the hinge in place so you can no longer wiggle it and it can better hold the weight. Repeat the same procedure with both hinges if both feel loose. Then pop the microwave door back into place and swing it to make sure there’s no longer any sagging. The door and the hinges should stay firmly in place. Repairing appliances takes a mix of electrical and mechanical experience. If you’re just starting to learn how to repair your appliances, be sure to browse Appliance Express for more tutorials and advice or reach out and we can do the repairing for you!